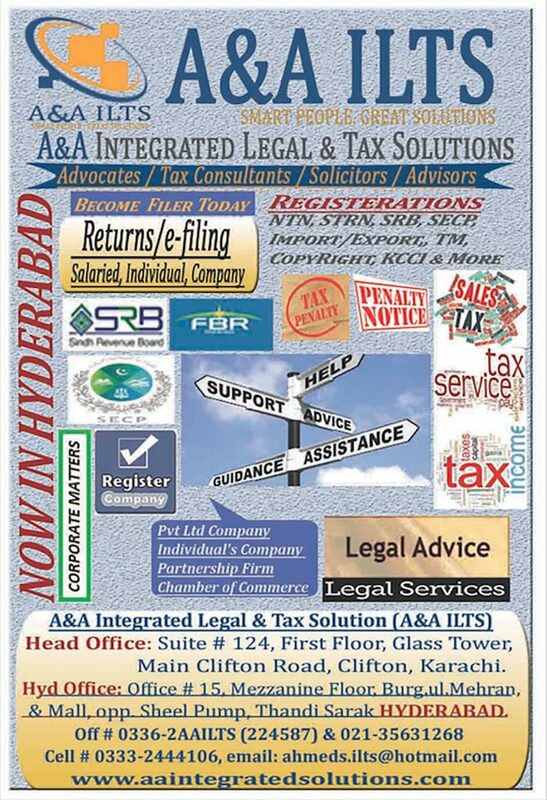 A&A Integrated Legal & Tax Solutions (A&A ILTS) has been established to provide one window services to our clients- both individuals and firms- up to their satisfaction and offer solutions to their legal and tax matters. 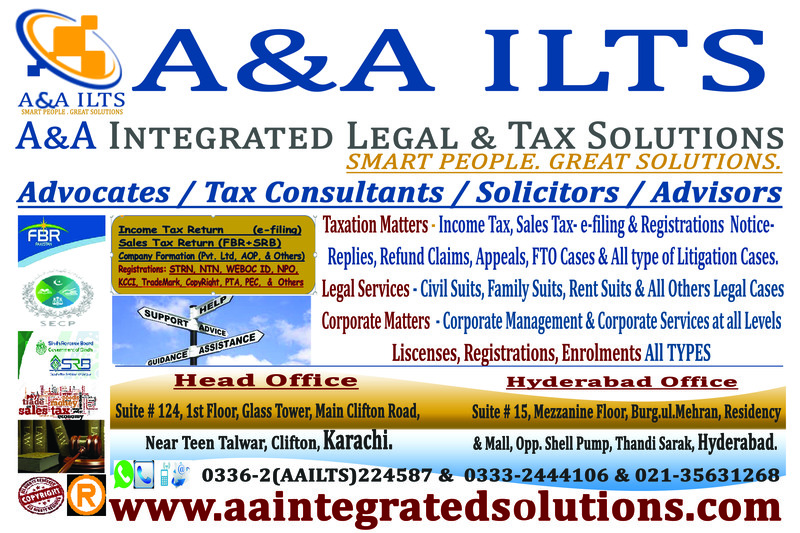 A&A ILTS to be the leader in Tax & Legal service providers offering consultancy services in taxation & law to Corporate Sector, firms, and individuals with due diligence and professionalism. 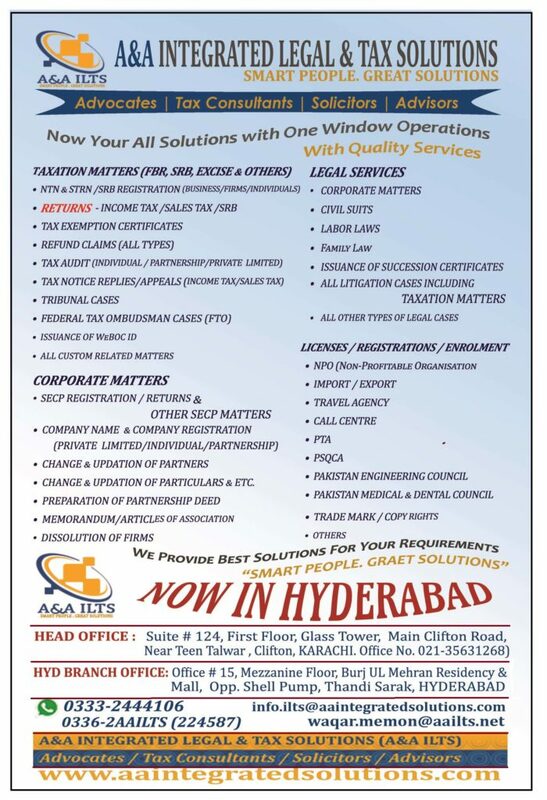 To provide one window solutions with quality services to our corporate clients and individuals in taxation and legal matters and to educate them regarding taxation and allied matters. 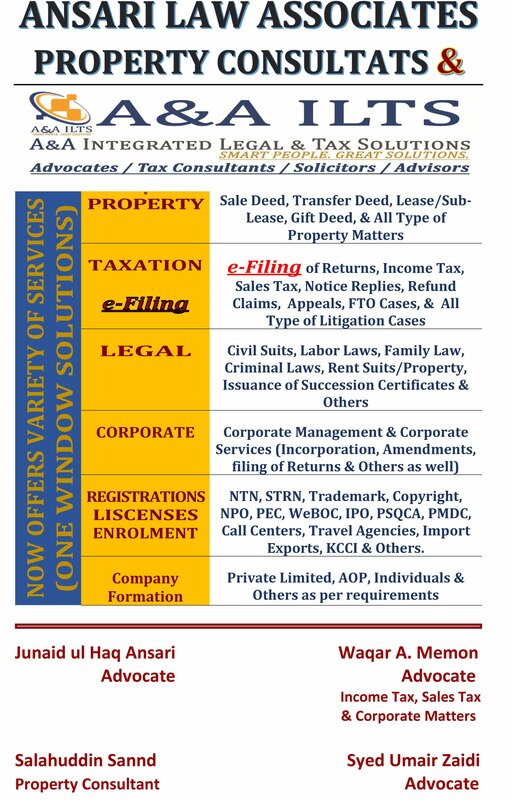 Professionalism & Maintaining Confidentiality of the clients.